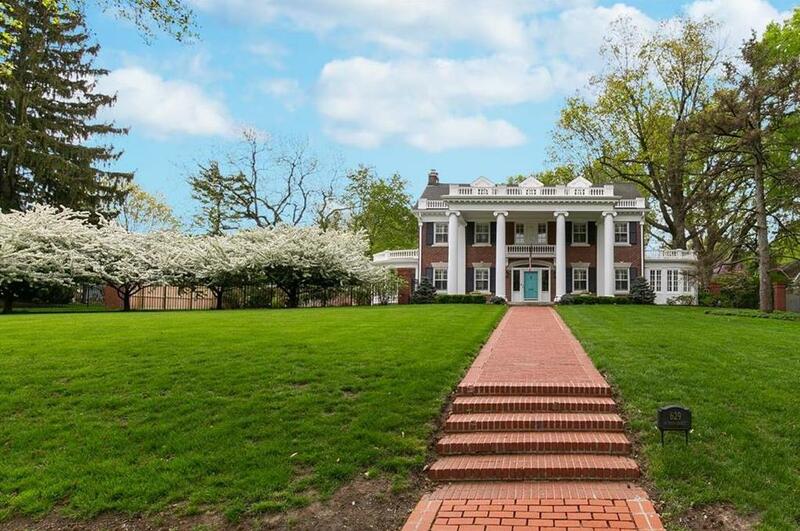 Gracious Georgian Colonial w/ an incomparable view of Loose Park. This exquisite home offers an elegant entry adjacent to Living & Dining Rooms w/ architectural details & sophisticated crown molding. Sun room & screened in porch flank the home creating perfect symmetry. Home also features an office, 5 bedrooms, 3 full & 2 half baths, sleeping porch, upstairs TV room, mudroom, 1st floor laundry room & 3 car garage. Walking distance to the Plaza and Crestwood. Beautiful Pool & Patio on a Short Acre per tax records. 629 W 55th Street (MLS #2155159) is a colonial single family home located in Kansas City, MO. This single family home is 5,434 sqft and on a lot of 39,204 sqft (or 0.90 acres) with 5 bedrooms, 4 baths and is 96 years old. This property was listed on 04/04/2019 and has been priced for sale at $1,800,000. Nearby zip codes are 64110, 64112, 66085, 66205 and 66208. This property neighbors other cities such as Mission Hills, Mission Woods, Overland Park, Westwood and Westwood Hills. Listing Last updated 04/24/2019 3:00 PM CDT . Some properties which appear for sale on this web site may subsequently have sold or may no longer be available. Walk Score provided by Walk Score. Mapping data provided by Google and Bing.